﻿ Book Hotel Coral Suites (Panama City) - 2019 PRICES FROM A$78! 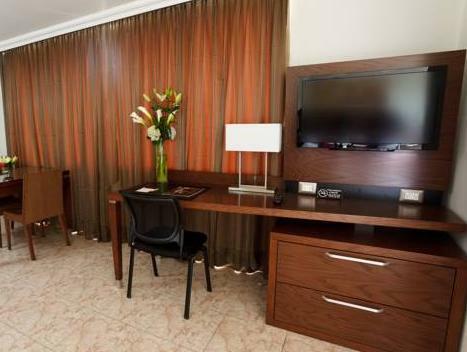 Hotel Coral Suites is located in Panamá City, just 295 feet from Vía España Avenue. It offers a rooftop pool, a fitness center and air-conditioned suites with free Wi-Fi and a kitchenette. The suites feature cable TV, a DVD player and a sofa. Each one comes with a private bathroom and a kitchenette with a microwave, hob, coffee maker and dishwasher. Hotel Coral Suites offers a daily continental breakfast. The building has 24-hour security, and staff at reception can provide information about what to see and do in Panamá. A laundry and dry cleaning service is also available. Hotel Coral Suites is 10 minutes’ drive from the city’s old town. You can drive to the Metropolitan Park in just 5 minutes. The property is located 5 minutes drive from Area Bancaria and Cinta Costera and just 8 minutes from Casco Antiguo. Tocumen Airport is a 20-minute drive away. Please note that for credit card payments the card owner needs to be present at the hotel and sign the voucher. The property does not accept credit cards from someone that is not staying at the hotel. Children will need to show an ID or passport at the time of the check in. Guests are required to show a photo ID and credit card upon check-in. Please note that all Special Requests are subject to availability and additional charges may apply. I would recommend if someone is not looking for 4* or 5*....it is about a 3* but clean. The kitchen is the main reason for my stay and the location. I can walk to my Dentist and MetroBus or MRT. There are store nearby but not very many, supermarket REY is walking distance. I never eat Breakfast there, so cannot speak on it for $10 day Rooms are clean, some need the shower doors replaced. 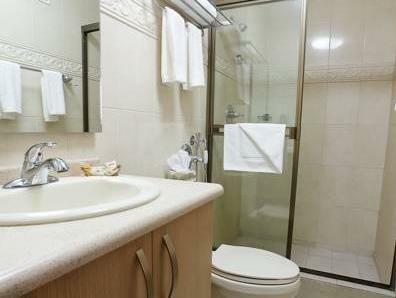 Some rooms are very large and the bathrooms are very small. I have had several different rooms on my frequent stays. I would recommend only if can be satisfied with 3.8 star I think I will stay someplace else if I don't need a kitchen the next time. Right in the middle of alot of stores, restaurants, businesses. This was a good hotel for the price. Stayed just one night and it was a nice room. The staff was very friendly and spoke english. Breakfast could have been a bit better. If you like the nightlife, this is a good place to stay. Its fairly priced and central to a casino, fast-food and restaurants. this was not a hotel but a very small serviced apartment in a grotty part of Panama City.I felt very unsafe walking outside the hotel at night as it was a seedy part of town. breakfast was very ordinary and i actually checked out of this hotel after one night and moved to a new better safer location of the Sheraton. on the Top floor, there is a nice pool where you can see the nice view around the Panama city.Though I did not have time to use Gym machine that are various enough to work out your body. Muy bien atendidos por el staff. Excelente hotel y muy bien ubicado. Hotel muy agradable y correcto en función de los servicios que ofrece y el precio. Su ubicación en pleno centro y en la misma calle en la que se encuentran varias agencias de alquiler de coches es un plus. Buena atención en general y en especial en recepción. Lo único que no corresponde es el baño, pequeño y sin mantenimiento. Me gusta su ubicación, sus cuartos, y los desayunos bien variados. Durante mi estadía en Panama disfrute cada lugar. El hotel no fue la diferencia. Ya que es bien acogedor, ademas de lucir muy elegante. Los desayunos son variados y muy ricos. Recomiendo este hotel para todo tipo de persona, porque esta céntrico y se llega rápidamente a los restaurantes, centros comerciales y sitios turisticos. A menos de 100 metros estan los bingos y casinos que se pueden disfrutar.